"Patient safety is a societal issue because we have a responsibility to care for the most vulnerable amongst us," said New York State AFL-CIO President, Mario Cilento. "This bill will ensure that every patient gets the quality of care they require and deserve. Nurses need to be able to provide patient care at their maximum ability and safe nurse-to-patient ratios is the best way to do that. 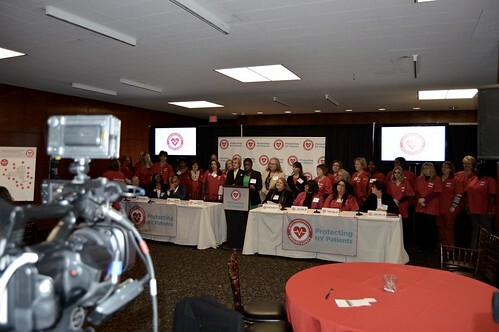 We know outcomes are better for patients when safe staffing levels are established and this bill is a cost-effective way to improve patient care and save lives." Want to join us and learn more? Click here http://www.campaignforpatientsafety.org/.